Whether you’re an aspiring web copywriter, a seasoned pro looking to brush up or a business owner keen to learn more about the art of web copywriting, there are a wide range of authoritative sources available on the subject. Of course, with so many to choose from it can be a little overwhelming, so with that in mind here we present three books which we believe have the power to inspire web copywriters. Nick Usborne is one of those names that most online copywriters have heard of and he is widely regarded as an authority on the subject. Net Words is a great place to start for anyone at the beginning of their career, or for any existing copywriters who are making the shift to the online world. The book explores the power that words have in internet marketing, and uses examples to demonstrate the right and wrong ways to use them. One of the areas in which Net Words really comes into its own is in its explanations of the key differences between traditional print-based and web copywriting, making it an essential reference for businesses and individuals who are new to the subject. Usborne draws on his decades of experience to explain how to create customer-focused online copy that sells, which is of course the name of the game. You can also find a wealth of useful information on his website, www.Nickusborne.com. Persuasive Online Copywriting: How to Take Your Words to the Bank – Bryan Eisenberg, Jeffery Eisenberg and Lisa T Davis. As the title suggests, Persuasive Online Copywriting drills down to the most important function of web copywriting – to persuade visitors to become customers. The book deals with the basics of writing for the web, and is another which should prove highly useful to businesses as well as beginning web copywriters. Though it weighs in at a relatively modest 176 pages, the book packs in a lot of valuable information which should be useful to experienced copywriters too. 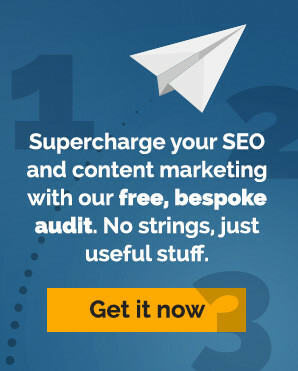 As well as looking at the nuts and bolts, Persuasive Online Copywriting goes more in depth into how to engage website visitors, and more importantly how to convert them into sales, subscriptions or anything else. Though Ogilvy on Advertising is not a book about web copywriting specifically, it is a book that is highly recommended for any copywriter or website owner seeking a deeper understanding of how advertising works. Written by one of the heavyweights of the field, the book takes a wide view of the advertising industry, while also homing in on the nitty-gritty of how to write copy that sells. Though it may be almost thirty years old now, Ogilvy on Advertising remains relevant in the digital age. Many of the topics covered in the book are perennial truths of the marketing world, with chapters including ‘How to produce advertising that sells’, ‘How to get clients’ and ‘The secrets of success in business-to-business advertising’.